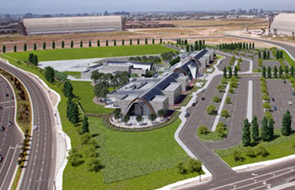 We build the structures and infrastructure that enhance how people live, work, learn and play in our communities. The Osprey project in Atlanta, GA is the first across Balfour Beatty’s US operations to leverage Prescient’s modular construction technology. Learn more about the incredible ways structural prefabrication is enhancing project delivery for the entire team! Our country’s railroads are a key transit asset to move goods and boost the economy. Balfour Beatty provides ongoing design, signal engineering, construction and maintenance services to keep these railroads in excellent condition. In today’s market, pricing construction can be like a game of chess. 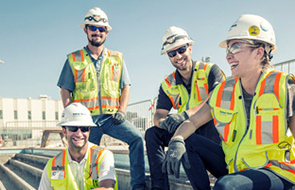 Florida pricing and procurement expert Mac Hoenicke weighs in on Balfour Beatty’s winning strategy to address labor, pricing and material availability challenges. 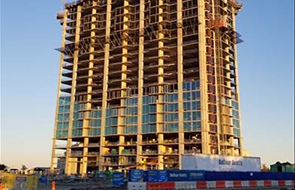 A $70 million, 25-story residential tower in a fast-growing area north of Dallas, the SkyHouse team is achieving high performance by leveraging lean processes and cloud technology. 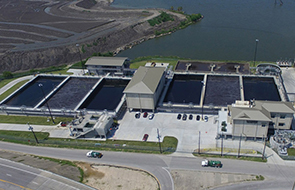 Learn how the Balfour Beatty team restored this plant and expanded its capabilities through a brilliantly choreographed phasing plan and unique use of SBR technology. After a year of preconstruction, Balfour Beatty is excited to finally break ground on the new $85M state-of-the-art Legacy Magnet Academy. 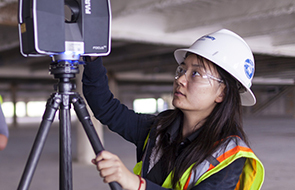 Balfour Beatty's Claire Mao, discusses BIM and its cost-saving abilities with Construction Dive magazine. Paul Chang, preconstruction manager in California, was recently recognized with the Albert R. Vallin Award for Estimator of the Year. We are looking for team members who are passionate about building and care deeply about bettering the communities around them. Sound like you? Come join us! GENERAL SUPERINTENDENT (Autin, TX): The General Superintendent will have the primary responsibility for all field operations, including the coordination of subcontractors’ work. 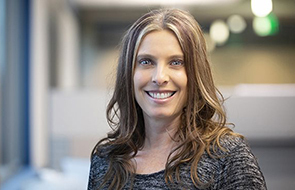 DESIGN MANAGER (San Diego, CA): This role will work on Design-Build and CM At-Risk projects in the following market sectors (Higher Education, Criminal Justice and Civic) in the dollar value ranges of $50M to $250M. SENIOR PROJECT MANAGER, K-12 SCHOOLS (Seattle, WA): We are seeking a Project Manager or Senior Project Manager with K-12 schools experience to join our team in Seattle, WA. 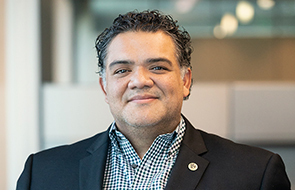 The Senior Project Manager serves as the senior on-site company representative responsible for managing all administrative and technical requirements. 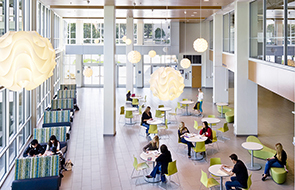 As the #5 educational builder in the U.S., our team understands universities’ need to balance construction costs with recruitment efforts. From the onset, we work to define value for our clients. 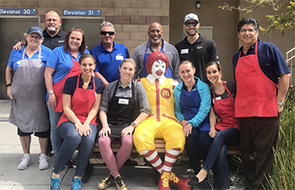 Balfour Beatty California teammates volunteered for the San Diego Chapter of the Ronald McDonald House, marking it as the 6th consecutive year. 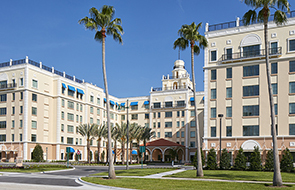 Balfour Beatty project, Windsor at Celebration, wins ABC National EIC Pyramid Award.